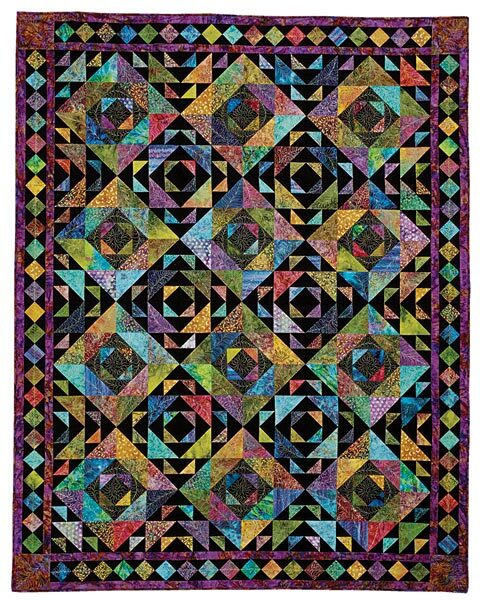 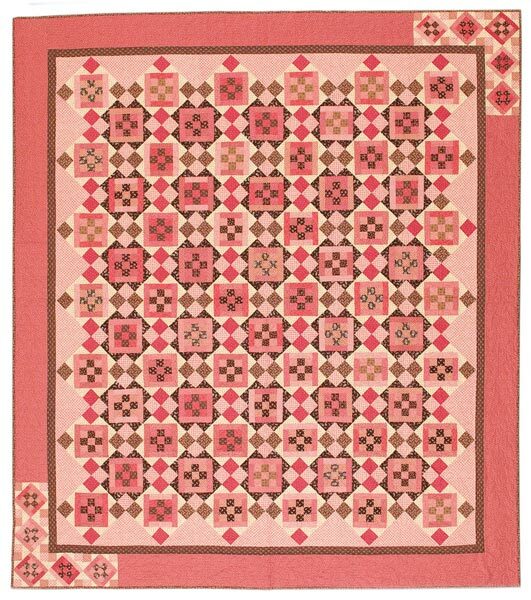 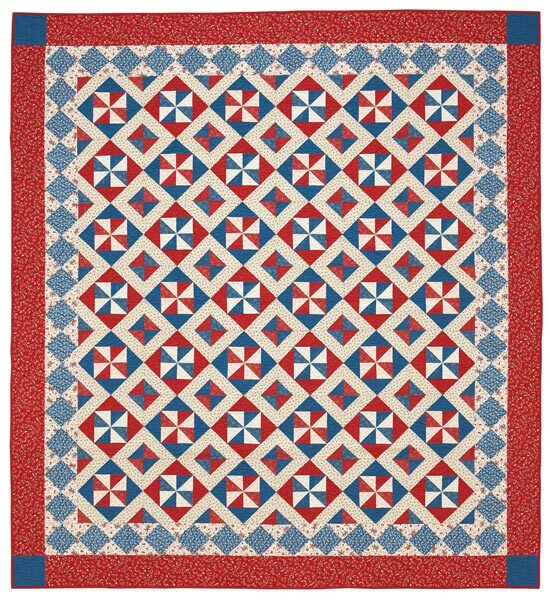 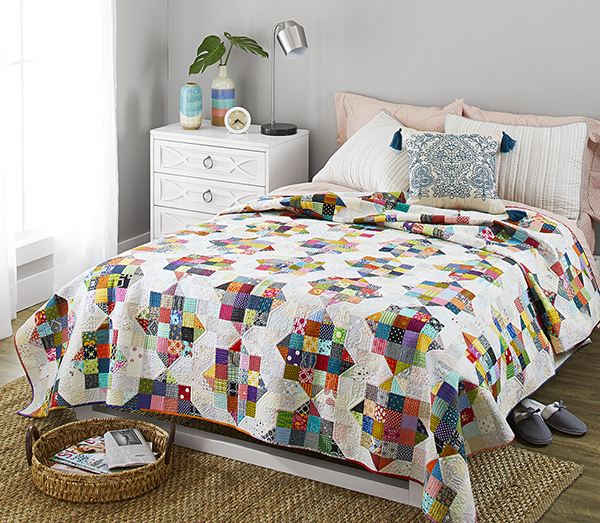 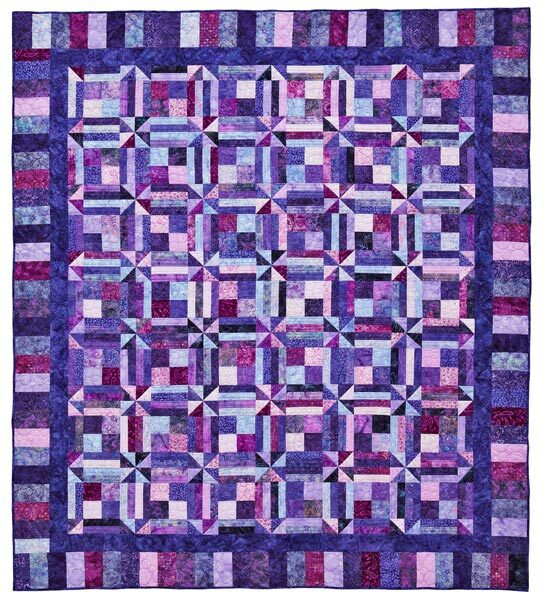 This stunning antique quilt in holiday colors requires just three fabrics. 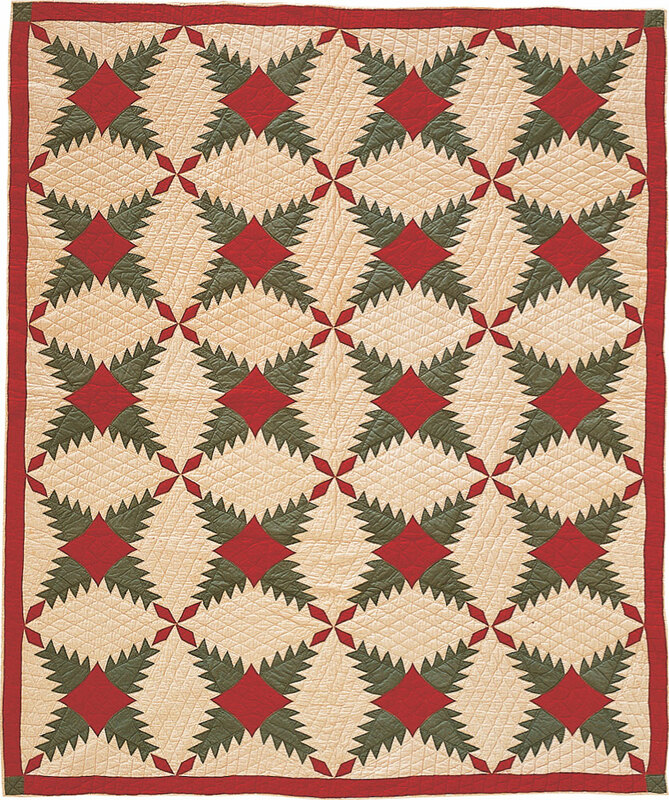 The Pine Burr blocks, stitched with set-in seams, create a design that resembles a poinsettia where the corners meet. 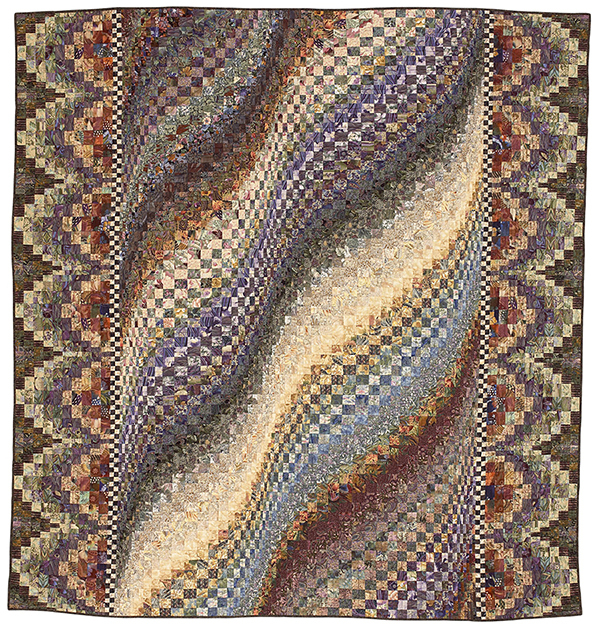 Finished quilt: 73x90". 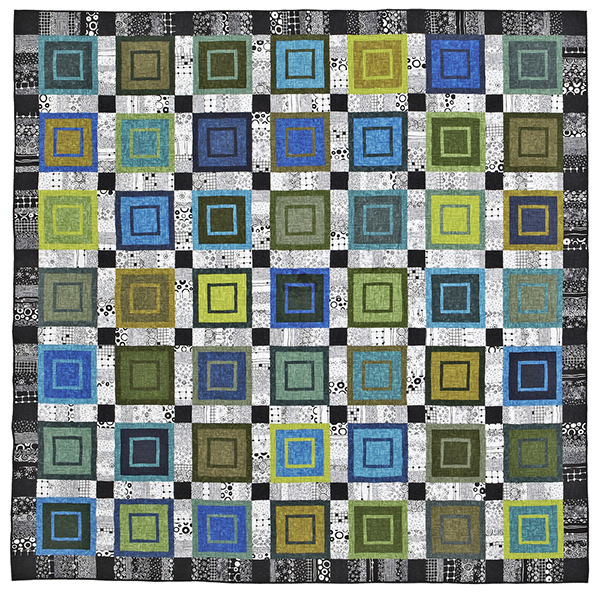 Finished block: 17" square.